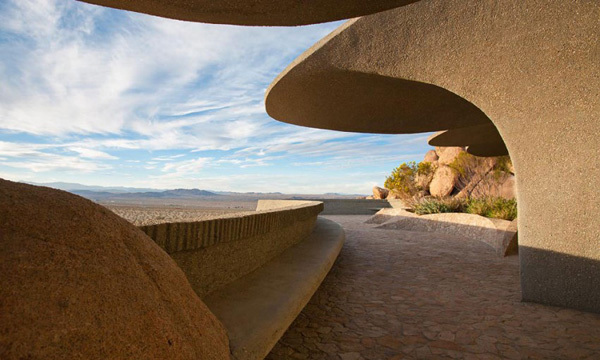 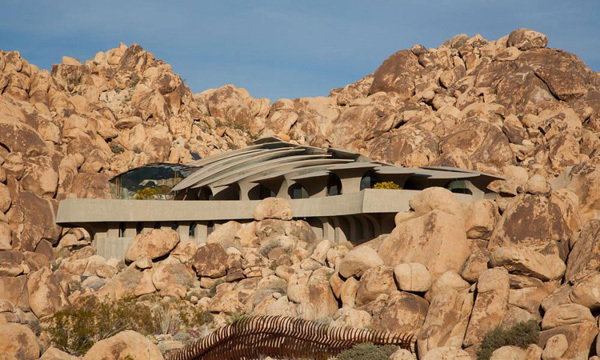 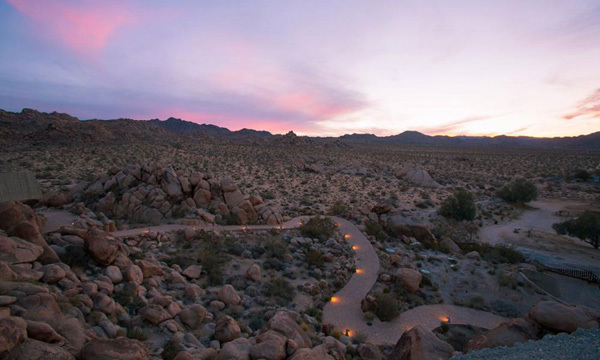 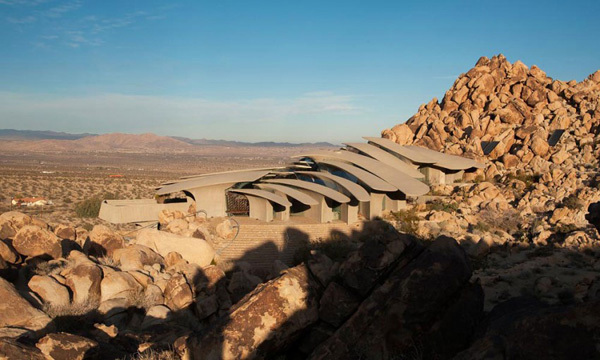 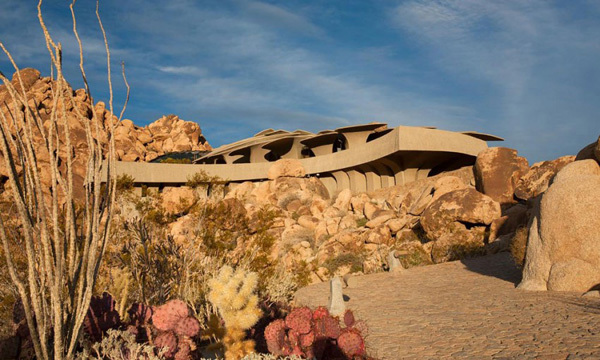 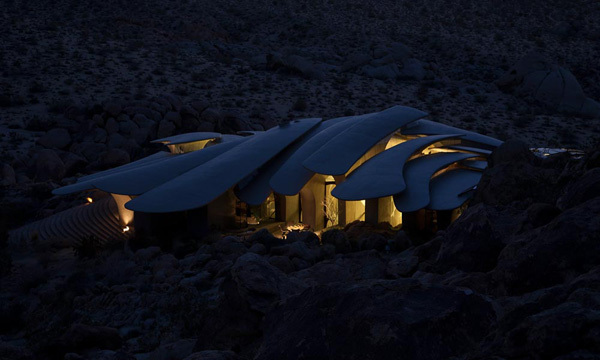 The building is physically of the desert, a part of its surroundings. 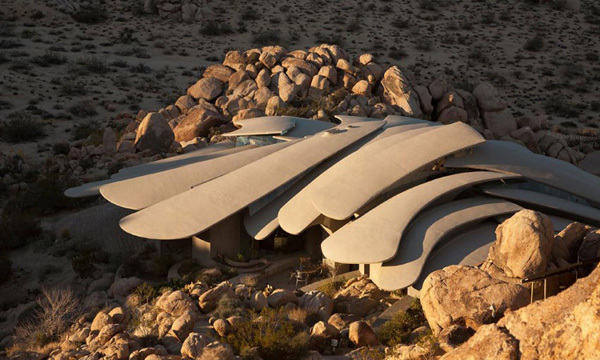 The strength of the hard and rugged protective shell exterior is drawn from the desert. 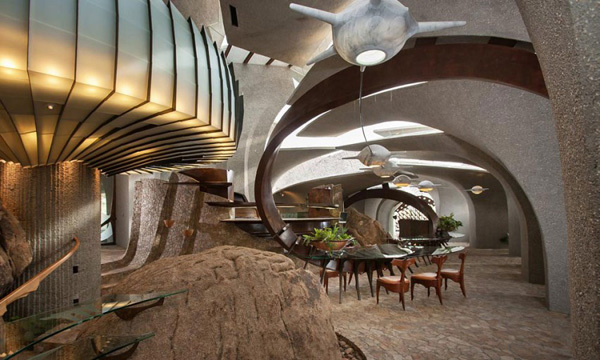 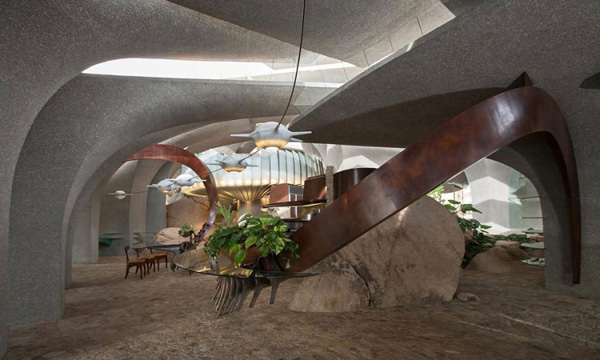 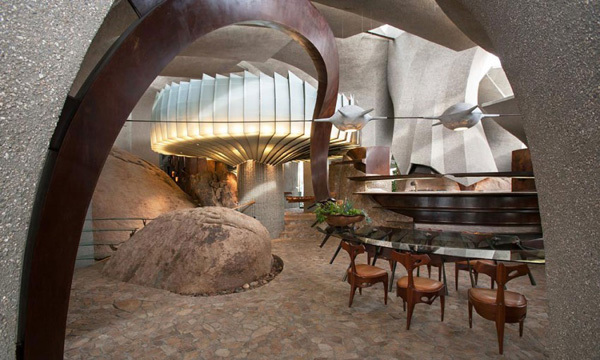 The interior is a warm intimate space of flowing organic shapes. 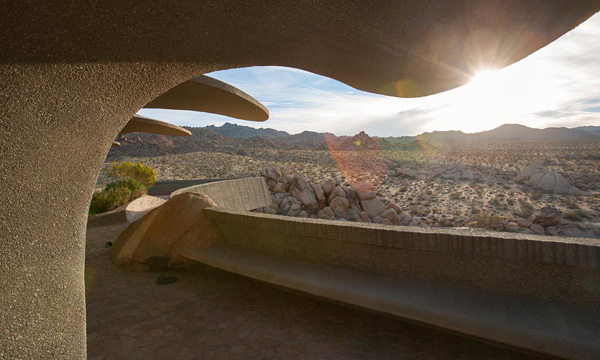 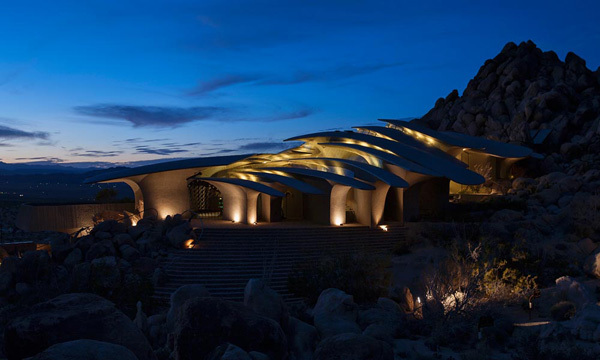 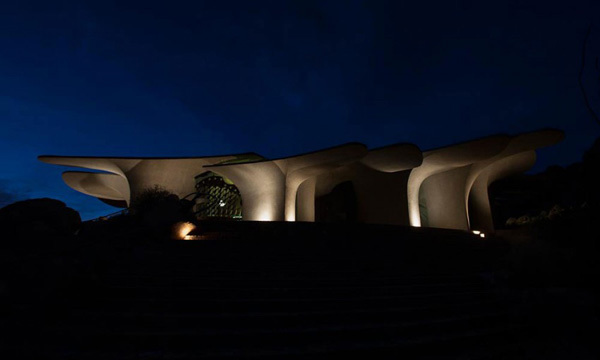 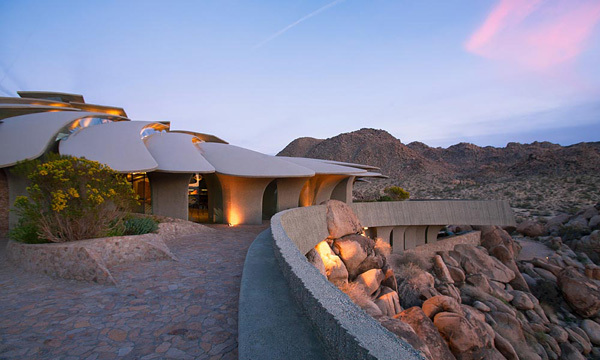 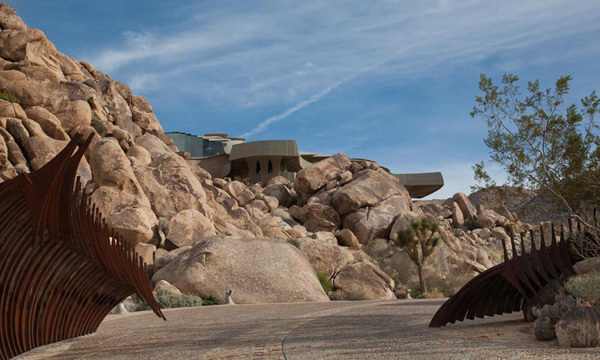 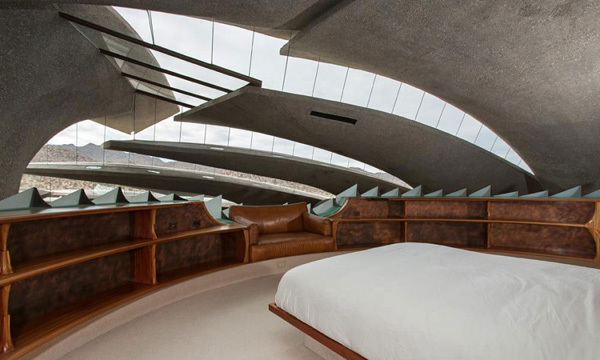 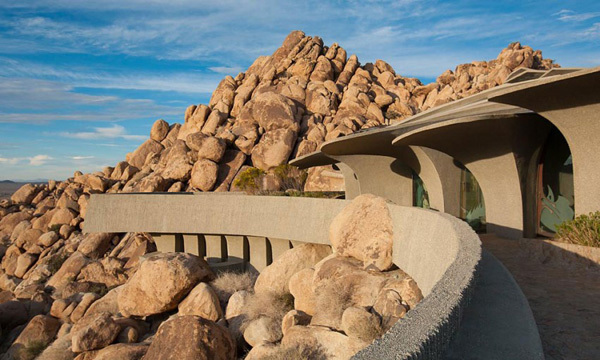 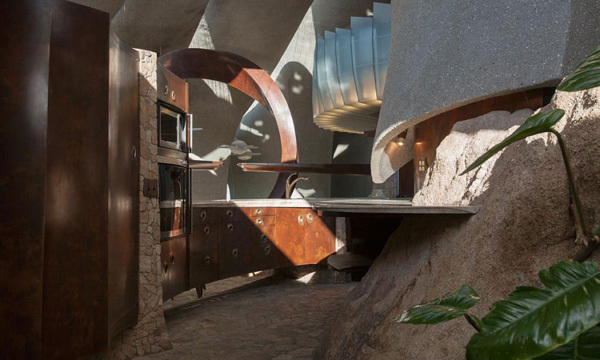 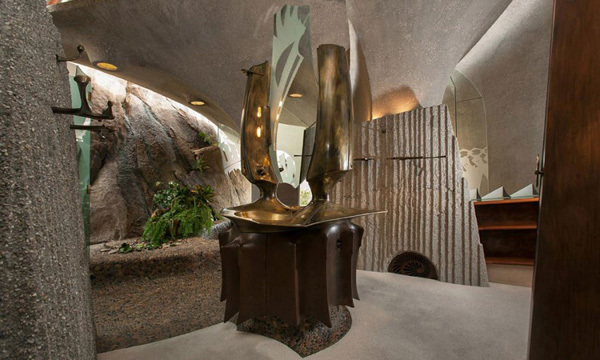 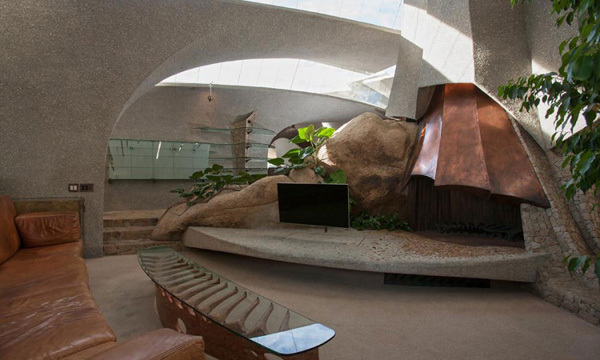 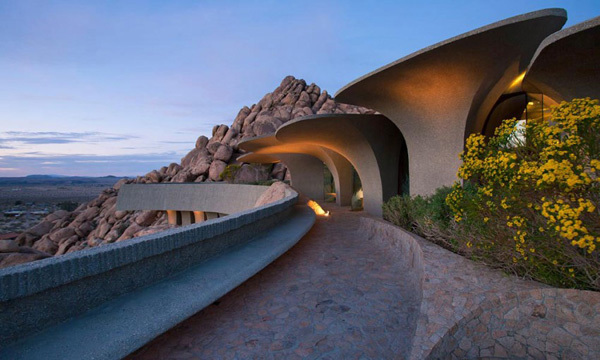 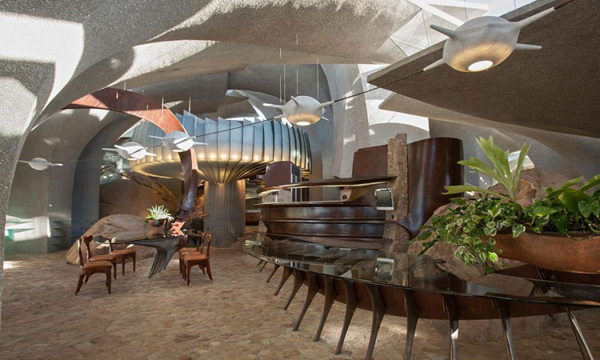 The property highlights the masculine and feminine forms that are the hallmark of organic architecture.